I’ve been working on something new! Pouch Pattern Club is coming soon! I would love for you to sign up to the newsletter to keep updated and receive the early bird special discount when i release the purchase details! The Pouch Pattern Club is a club that will run for 6 months and you will get one Lorelei Jayne pouch pattern each month. 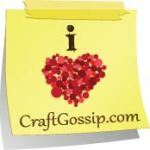 You will have exclusive access to a special facebook group with sew alongs and chats! I’m so excited about this club as i love designing and sewing pouches so much! All of the Pouches are new and awesome! The pouches will be available on my website 2 months after they have been released in the club but they will be full price. In the Pouch Pattern Club you will be getting 6 patterns for a large discount! So sign up for the Pouch pattern Club newsletter! Keep an eye out for the Early Bird special discount and other awesome things in you inbox!